Alberta’s canoLAB 2016 is in Lethbridge, February 17-18. Click here for more information on topics and to register. Canola Performance Trials (CPT) 2015 small-plot data on canola seed varieties is now available in this online booklet. Do you value high quality, third party canola variety data? 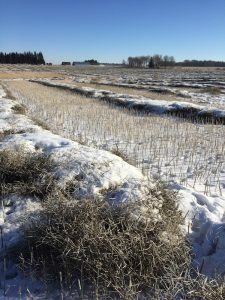 The Canola Performance Trials (CPT) Committee wants to see if you find value in these high-quality, unbiased, timely trials and how you think the program could improve going forward. Please click here to fill out a quick survey to provide us with the information we need to serve you better. CCAs and CCSCs who achieve a mark of 70% or better on the 2015 Canola Watch self-study exam will get 6.5 credits. Those who want credits for 2015 must write and pass in December. Those who want credits for 2016 can write in January 2016. Repeat attempts are allowed. Canola Watch will submit names for all who pass to their respective CCA or CCSC organizations. Brassica napus is semi-determinant in its growth, which means it can produce new growing points from leaf axils. When conditions change to provide more moisture, nutrients or heat, secondary and tertiary branch growth can extend flowering or even initiate secondary flowering. This can produce a significant increase in yield as long as fall conditions allow for maturation. At least 10 new pathotypes have been discovered in fields in central Alberta. While varieties with improved resistance to 5x may provide a benefit, this resistance may not work on all new pathotypes. Infection from the other virulent pathotypes could still occur. Fertilizer planning: Growers with soil tests, particularly for poor performing fields in 2015, have valuable background information for making informed fertilizer rate decisions for 2016. Rotation planning: This is a good time to go over notes for disease levels in 2015. Fields where disease levels were noticeably higher than in the past will benefit from a longer rotation away from canola. Canola Digest Science Edition 2015 has results from 24 grower-funded research projects. Readers will also find updates for 42 ongoing grower-funded and 15 federal-government funded projects. The edition is an excellent exhibit of grower levy dollars at work. Is Canola Digest what you need it to be? Canola Digest magazine wants reader feedback to help with magazine planning in the upcoming year. All canola growers and many agronomists across the Prairies receive the magazine. The short survey asks four questions…. The Canola Council of Canada 2016 Convention in San Diego March 1-3 will wrap up with a Top Gun Gala. Register today. 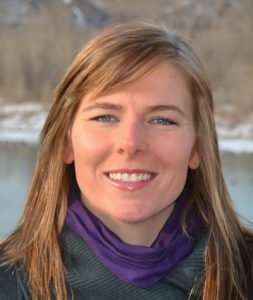 CCC agronomy specialist Autumn Barnes is back from maternity leave. She returns to her southern Alberta region.